The Joseph and Evelyn Lowery Institute for Justice & Human Rights is a 501 C 3 non-profit organization established in October 2001. 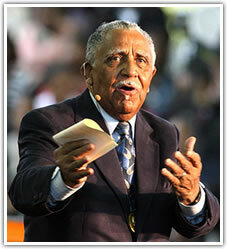 The birth of the Joseph E. Lowery Institute grew out of plans to celebrate Dr. Joseph E. Lowery’s 80th birthday. The Planning Committee wanted to ensure the continuity of the advocacy of Dr. Lowery and his lifelong, enduring commitment to non-violent advocacy, and to the moral, ethical, and theological imperative of justice and human rights for all people. 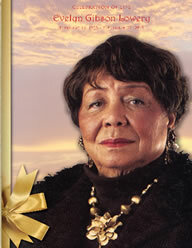 According to Dr. Lowery, “As an absolute necessity for history to be right, and authentic” he recommended to the board of directors, that the name and legacy of Mrs. Evelyn Gibson Lowery be added to the Institute along side his. On February 16, 2014 the board voted unanimously to rename the Institute to the Joseph and Evelyn Lowery Institute for Justice & Human Rights. The Institute is housed in the Thomas Cole Building on the Campus of Clark Atlanta University (CAU) through a partnership agreement between the Institute and CAU. CAU, a core entity for both undergraduate and graduate studies provides a phenomenal locus for the Institute. The historicity of the civil rights movement; the intercontinental flow and flavor of students, scholars, and political figures; the academic excellence and diversity which embraces both spiritual and scientific healing – all endemic to the Atlanta University Center, render it an ideal choice . • Establishment of the Partnership with the Atlanta School Board to yearly sponsor the Reverend Joseph E. Lowery Lecture Series. Through the years the series has presented renown speakers such as Dr. David Satcher, Judge Glenda Hatchett, Judge Penny Brown Reynolds, Derek Watkins – aka “Fonzworth Bentley” and others. • Forums on Criminal Justice. Funds derived from bi-annual birthday celebrations and other fundraisers support programmatic activities. 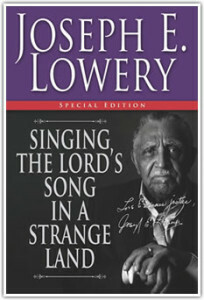 Some of these celebrations have included Tavis Smiley as the featured participant for a Voters Rights Discussion at the 2002 Breakfast Celebration; Aretha Franklin highlighted the 2007 and 2009 event along with creative skits by the AU center; the 2011 celebration included the 5 Blind Boys, Stevie Wonder, Jennifer Holiday, and many other notable performers. 2013 Awarded Mr. Tyler Perry the first Agent of Change Award, Mr. Jamie Foxx and Chris Tucker were our main guests. A Life Well Lived. A Legacy Of Love.